It's not every day that you hear the CEO of an up-and-coming hardware company say that he'd love to give his goods away for zip, zilch, nada, but Oculus VR honcho Brendan Iribe says that if it's possible, he'd love to give the Oculus Rift headset to users for the absolutely nothing. "The lower the price point, the wider the audience," Iribe told Edge magazine. "We have all kinds of fantasy ideas. We’d love it to be free one day, so how do we get it as close to free as possible? Obviously it won’t be that in the beginning. We’re targeting the $300 price point right now but there’s the potential that it could get much less expensive with a few different relationships and strategies." Iribe went on to cite the way console makers like Microsoft and Sony subsidize their hardware and make up the difference in sales of software and services. A similar model could enable Oculus Rift to land in the hands of the masses for nothing, or Oculus could bundle the VR headset with laptops and other types of hardware. "We’re not there yet, but we’re sitting there thinking all the time, how can we make this free?" Iribe pondered. While Iribie's pipe dream may end up being nothing more than wishful thinking, the Oculus Rift headset is already far cheaper than the VR competition at $300 for a developer kit. Oculus VR is able to hit such a low price point by using hardware similar to the type you'd find in a smartphone or tablet. And as these everyday hardware components scale and their manufacturing processes improve, they'll become even cheaper. 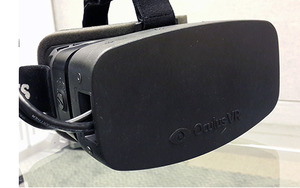 Using such common technology not only allows the company to keep prices down, but it also allows Oculus to upgrade the internals of the Rift as mobile technology advances. Witness the updated 1080p display in the Oculus Rift shown off at E3, which is a drastic improvement over the 720p resolution found on the Rift's developer kits. Iribe told PCWorld that when the consumer version eventually ships, its resolution will be 1080p at minimum. He chalked the resolution increase up to—you guessed it—improvements in the component supply chain. Gaming with the Oculus Rift is a simply stunning experience that must be seen to be fully understood. YouTube videos alone (like the one of CCP's superb EVR space combat game) simply don't do it justice, and Iribe's comments to Edge suggest that one day, most everyone with a PC might indeed be able to slap on a Rift of their own. But beyond merely twiddling thumbsticks, the arrival of cheap, VR-compatible technology like the Oculus Rift has the power to change lives if it becomes common enough. From medical applications to educational software to virtual journalism, tourism, and entertainment, affordable virtual reality hardware could send beneficial ripples throughout our entire society. 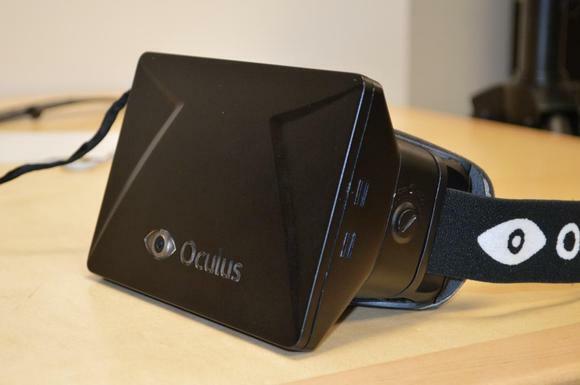 Despite Iribe's talk, don't expect the Oculus Rift to be free any time soon. Heck, it hasn't even been officially released yet. But no matter whether the headset costs nothing or $300 or some point in between, this wallet-friendly VR headset could make seismic waves in the years to come.